Welcoming the festive and holiday seasons, Pullman Jakarta Central Park presents an exciting line up of Christmas and New Year events wrapped up in Wonderland themes. The festivities begin from the month of November 2018 with a modern art themed Christmas tree decorated with dazzling Christmas ornaments and scintillating lights at the lobby to light up the spirit of Christmas. Exclusive ‘suitcase’ hampers and goodies are also available at Collage All Day Dining starting from November to December 2018 at IDR 1,400,000+ per hamper, a perfect Christmas gift for family and friends. Christmas and New Year celebrations wouldn’t be complete without delightful feasts. Pullman Jakarta Central Park will host a Christmas Eve Dinner on 24th December 2018, and a Christmas Day Brunch & Dinner on the 25th December 2018 at Collage All Day Dining. 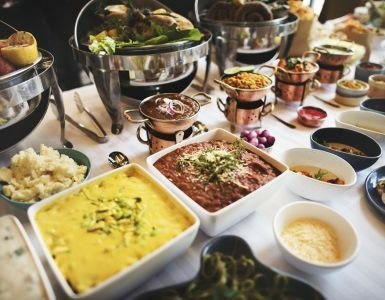 The buffet menu will vary from traditional festive favourites to succulent Western, Asian, Indian cuisines and not to be missed, the very best heavenly sweet selections. The joyful excitement is also happening at BUNK Lobby Lounge. Crafted by our award winning mixologist, BUNK is presenting a series of signature Christmas cocktails such as ‘Mulled Wine’, ‘Pullman White Christmas’, ‘Santa Hot Chocolate’, and ‘Salted Caramel Eggnog’ with prices starting from IDR 189,000++/glass. The dashing celebration continues with the Festive Carnival at Collage All Day Dining with a delectable dinner menu selection on 31st December 2018 including exciting activities such as a Magician, Carnival Games, Face Painting accompanied with live music performance, and followed by New Year’s Eve Countdown Party with Masquerade theme at BUNK Lobby Lounge with DJ performance and exquisite drink offers. Christmas buffet at Collage All Day Dining price is starting from IDR 478,000nett per person, Year End dinner is at IDR 648,000++ per person and New Year Brunch is at IDR 458,000++ per person. 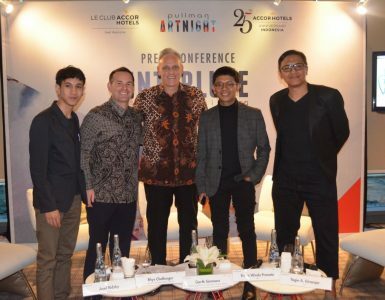 Pullman is the upscale international hotel brand of Accor, the world’s leading hotel operator, present in 92 countries with over 3,500 hotels and 160,000 employees. Located in the main regional and international cities and in prime tourist destinations, Pullman Hotels & Resorts is principally designed to cater for the requirements of cosmopolitan, seasoned travelers, whether they are travelling alone, with their clans or with colleagues. The brand’s establishments offer a new approach to upscale hospitality. The Pullman network has more than 80 hotels in Europe, Africa, the Middle East, Asia-Pacific and Latin America where ideas, histories and cultures meet. Our objective is to have 150 hotels around the world by 2015-2020. Pullman, like most of Accor’s brands, is proud to offer the Le Club Accorhotels loyalty program.